At the Canton, Ohio, law firm of Mills, Mills, Fiely & Lucas, we offer a variety of legal services to individuals, families and businesses, treating each case as if it were our own personally. Our areas of practice include medical malpractice, personal injury, business law, criminal defense, civil rights violations, family law and more. Whatever legal challenge you face, we invite you to contact us to learn how we can help. Call 330-754-1888 or lmills@mmfllaw.com today to schedule your initial legal consultation. 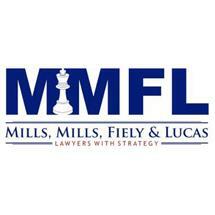 Mills, Mills, Fiely & Lucas is comprised of 10 attorneys who, together, have over 150 years of combined legal experience. When you entrust your legal needs with our firm, you can rest assured that we have the legal knowledge and skill required to handle your problem effectively. In addition to achieving favorable results for our clients, we also strive to provide personal and attentive service throughout the process. We know that whatever legal challenge you face, you may be completely overwhelmed. As your lawyers, we will work hard to relieve your stress by taking your legal burdens off your shoulders and seeking the results you need. You can feel confident with our experienced and dedicated team in your corner. We offer creative, thoughtful and empathetic legal counsel and representation to each one of our clients, committing fully to their cause. For more information about how we can be of service to you in a personal, family law or business matter, please contact us today. Call 330-754-1888. Mills, Mills, Fiely & Lucas (MMFL) performs all areas of general practice to corporations and individuals with extensive litigation experience. We provide in-house counsel duties to multiple companies in various industries. Worried about debt, credit cards and mortgages? Please call us at Mills, Mills, Fiely & Lucas so we can explain to you your choices on how to control and manage this debt which will enable you and your family to plan your future. Going through a divorce brings a great deal of uncertainty to your life and you need an attorney who will navigate you through the process and who you trust is looking out for your best interests. We represent individuals and their families who have suffered the loss of a loved one due to a wrongful death. A wrongful death in a family causes such mental anguish and pain and suffering, and in certain situations, a real financial hardship.